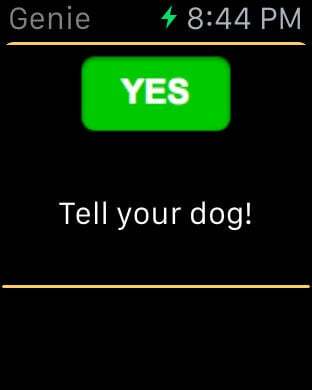 Use on your Apple Watch or your iPhone. AnswerGenie is a funny, entertainment app. 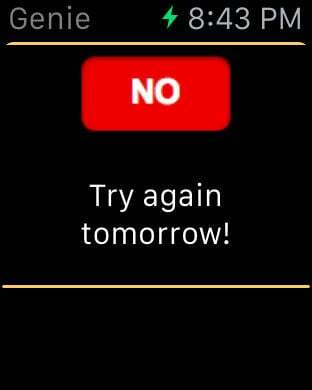 Tap "Ask" and your Yes or No answer will be displayed along with a short phrase. This will only stay on your screen for 5 seconds, then disappear so that you can ask another question. Very stable - zero crashes detected. 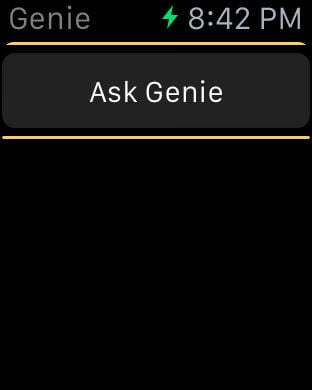 Send us a fun Genie answer and we may add it to the collection!